Inspire the inner musician, artist, environmentalist, scientist, or filmmaker in your child with these at home crafts. Objective: Playing music has many cognitive and emotional benefits for kids. 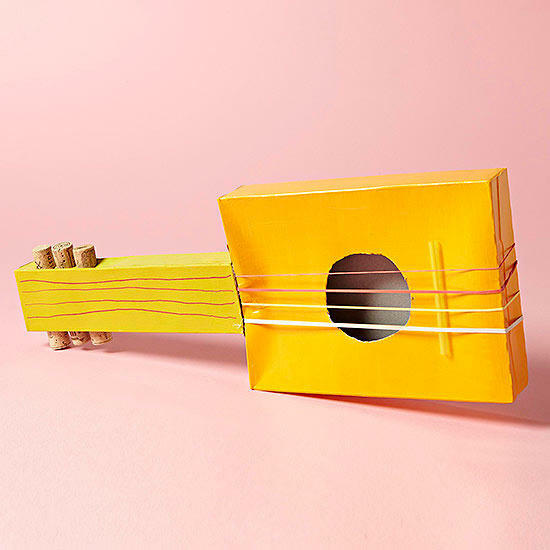 This cardboard guitar instrument is a great way to start musical exploration and allows for a fun activity with your child. Tape the open side of the cereal box. Make sure the tape is not bulky or overly visible. Paint the cereal and spaghetti box. Cut out a circle in the center on one side of the cereal box. Stretch the rubber bands over the middle of the cereal box. Attach the spaghetti box to the cereal box with glue to create the guitar neck. Draw “strings” onto the neck. Cut holes on the sides of spaghetti box and insert corks for the tuning keys. Glue in place. Place a straw piece under the rubber bands underneath the hole to create the bridge (this helps with making the sound when you strum). Objective: Environmental education connects us to the world around us. 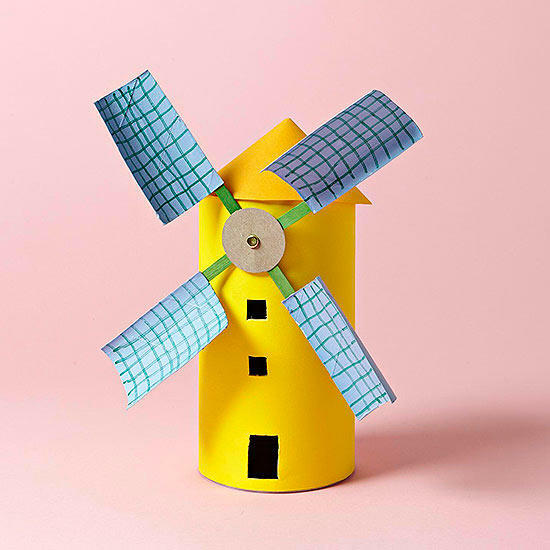 Educate your child about the importance of the environment and the connection windmills have with this fun activity. To make the blades, cut each paper tube in half lengthwise. Paint and let it dry. Draw guidelines and glue a Popsicle stick to the back edge of each blade. Glue the blades to your cardboard circle, allowing room for a brad at the center. Paint the oatmeal container and let it dry. Push a hole through the oatmeal container from the top. Attach blade to the top of the oatmeal container with a brad. Use a utility knife to cut the windows and a door. Make a cone of colored paper for the top of the oatmeal container and tape or glue it on. 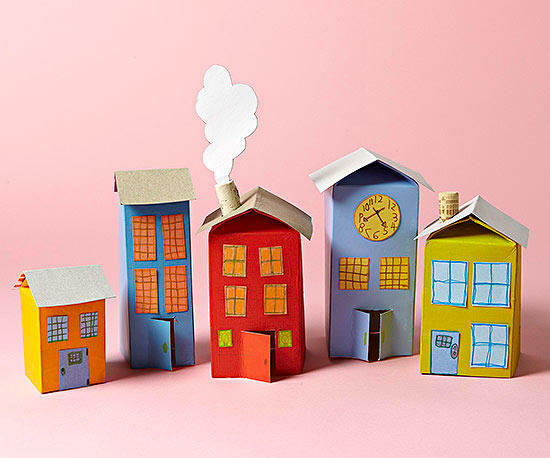 Objective: Have your little one feel like an architect or engineer by inspiring them to create their own village. Have an adult push the plastic into the cartons, cut the top “fin” and bottoms off the cartons, and cut the doors. Paint the cartons, and let it dry. Cut and decorate paper windows and doors, and glue to cartons. Cut, fold, and glue cereal box pieces on top of the cartons to create rooftops. Pop a cork into the spout hole and glue into place. Add smoke by attaching a cloud cut from white cardboard to a toothpick stuck in the cork. Objective: This rocket lets imaginations soar! 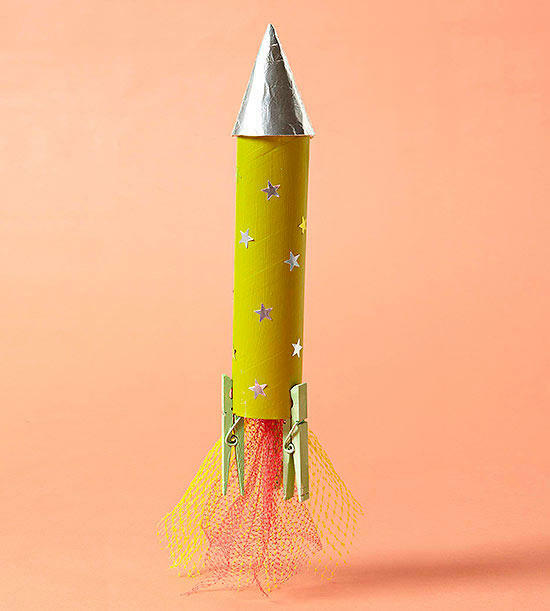 Inspire learning through play by teaching your child about rockets and space while creating this crafty cardboard rocket. Material: Paper towel tubes, paint and brush, paper, aluminum foil, tape or glue, clothespins, produce mesh bags, stickers, glue, scissors. Paint a towel tube, and let it dry. 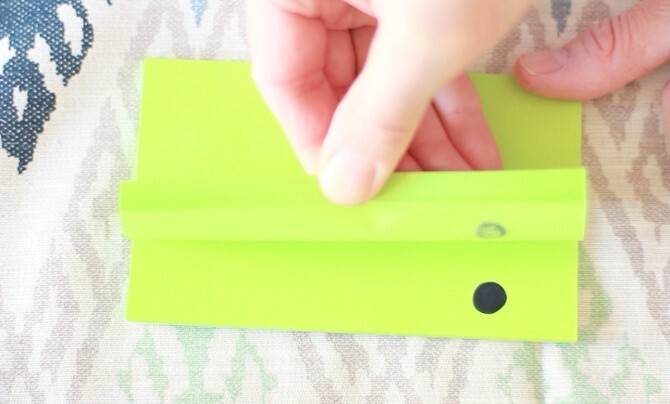 Cut a half circle of paper and shape it into a cone; secure with tape on the inside. Cover the cone with foil and tape or glue it to the top of the tube. Paint clothespins and let it dry; clip them on the bottom of the tube. Tape the mesh pieces to the inside of the tube for flames. Decorate with stickers or as desired. Objective: Inspire the inner filmmaker in your child by teaching them the art of animation. Create stop motion animation with just a sticky notepad and marker! Begin on the front side of the sticky notepad, and draw a small dot on the bottom page. On the next page draw another dot a little farther to the left (or right depending on which direction you start). Repeat step 2 while changing the position & size of the dot progressively as you get to the last page. Once completed, flip all the pages of the book very fast starting with the bottom page and working toward the top! What do you see?